finnischer Komponist (Helsinki 1892-1959). 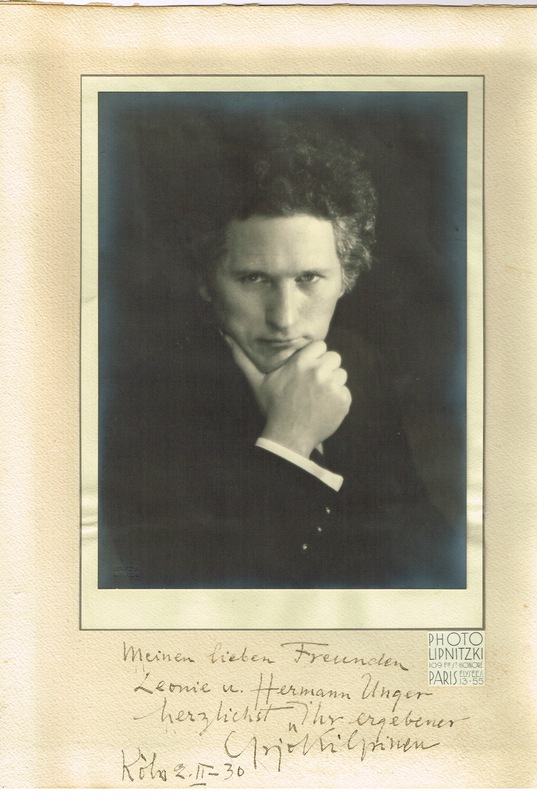 Finnish composer (1892–1959) best known for his large body of work in the Lieder style. Magnificent matte-finish 7.75 x 10.5 portrait by Lipnitzki of Paris, affixed to its original 12 x 16.5 mount, signed and inscribed on the mount in fountain pen, “My de Köln. Photographie 26,5 x 19,8 cm. Lipnitzki, Paris. Auf Untersatz montiert und darauf e. Widmung. (Untersatz leicht gebräunt). „Meinen lieben Freunden Leonie und Hermann Unger herzlichst Ihr ergebener Yrjö Kilpinen ...“. finnischer Komponist (1892-1959). 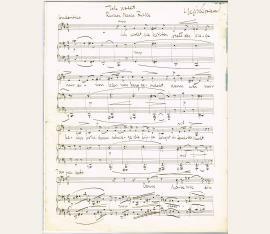 Autograph musical manuscript signed. [Helsinki? 1945?]. Folio. 3 SS. In neuem Buntpapier-Umschlag m. Titelschild. „Ich wollt, sie hätten statt der Wiege […]“ op. 56 Nr. 7 for voice and piano based on a text by Rainer Maria Rilke, composed 1945 (cf. 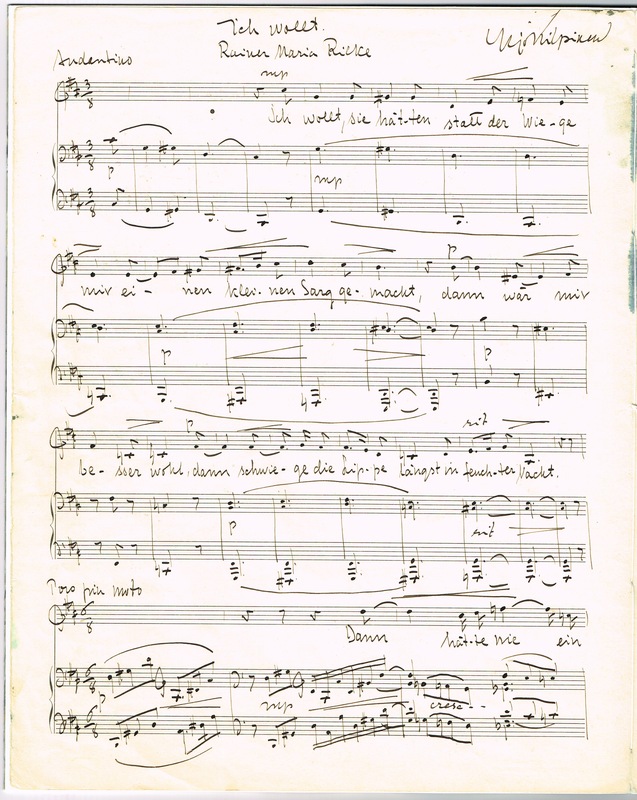 Taurula, Werkverzeichnis 1988, p. 130), listed on pages two to four of a double sheet. The last described system is followed by an alternative version of the last nine bars in pencil. - Kilpinen studied at the Institute of Music in Helsinki from 1908 to 1917 as well as in Vienna 1910/1911 and Berlin 1913/1914. 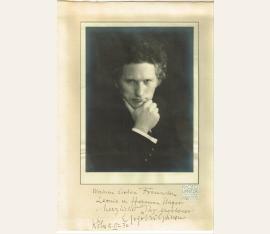 Around 1923 he became established as a leading composer in Finland. "(Siegfried Mauser). – The first page blank and the last page with some inkspots.